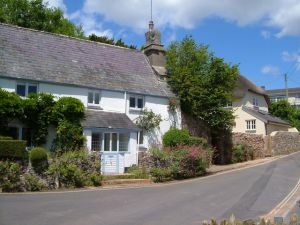 Stoke Gabriel is a quintessential English village on a quiet creek off the River Dart in southern Devon, on the edge of the South Hams area. On a small green by the church is a yew tree believed to be over 800 years old. An old rhyme tells that if you walk seven times around the tree, backward, without stumbling, you will be granted a wish. An old apple orchard stands near the church. Here, an annual wassailing ceremony blesses the apples. 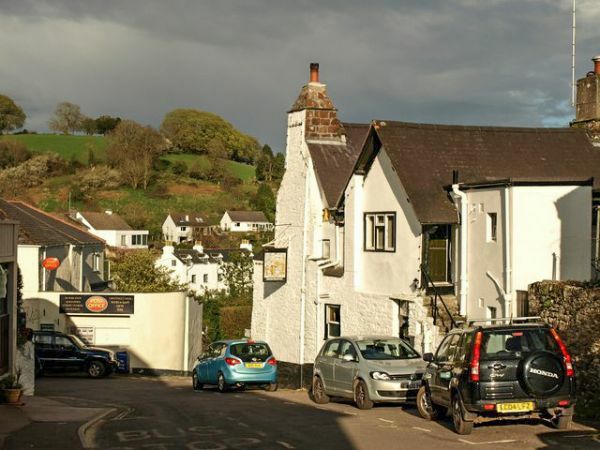 Orchards were first planted along the River Dart to provide cider for salmon fishermen on the river, for Stoke Gabriel was the main centre for a flourishing salmon fishery for centuries until fish stocks dwindled. The church, dedicated to St Mary and St Gabriel, stands beside the large Mill Pool. There was a church here in the late Saxon period, dedicated to St Gabriel. The church was rebuilt in the 13th century and rededicated to bot St Gabriel and St Mary. The tower remains from that 13th-century building, but the nave and chancel are 15th century, as are the pulpit, font, and chancel screen. Near the church is Church House Inn, built in1152 to house workers constructing the church but now a popular pub. The Church House once also served as the local courthouse, which accounts for the set of old stocks outside the inn entrance. In Stoke Gabriel is Sandridge Park, a Grade II* listed Regency mansion built by architect John Nash for Lady Ashburton in 1805. 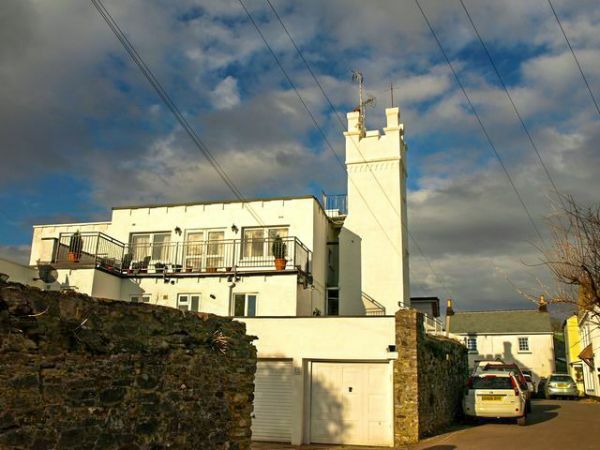 Nash designed the beautifully landscaped grounds overlooking the River Dart, and the Italianate mansion of stuccoed rubble. The Sandridge Estate itself dates to at least the 12th century when it was occupied by the Sandridge family under the Bishop of Exeter. It later passed to the Gilbert family of Compton Castle, who sold it to Lady Ashburton in 1770. 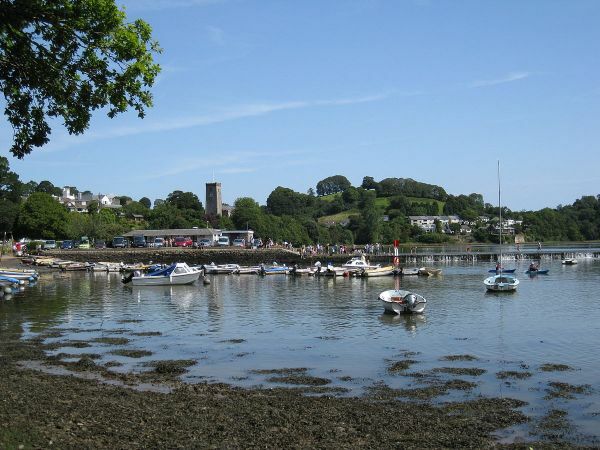 Stoke Gabriel has a tradition of crab fishing or crabbing as it is known locally. Fans of writer CC Benison will recognise Stoke Gabriel as the model for the fictional village of Thornford Regis. Another literary connection can be found just outside the parish, for crime writer Agatha Christie lived at Greenway, now in the care of the National Trust. 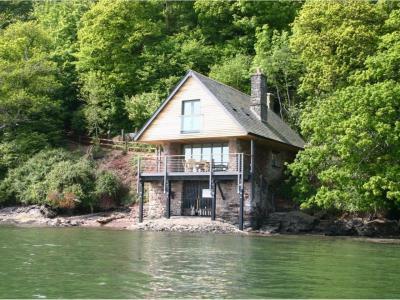 This unique and magical boathouse in Stoke Gabriel, is in a secluded, riverside setting and can sleep four people in two bedrooms. 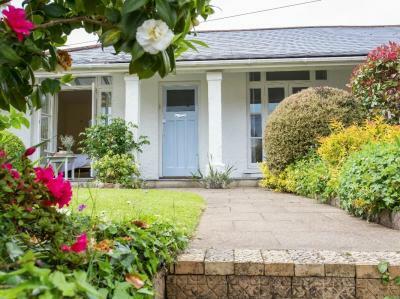 This New England style bungalow is in the village of Stoke Gabriel and can sleep four people in two bedrooms.